Come experience the Kansas Children’s Discovery Center’s Mobile Museum at Washburn! We will offer playtime with miniature versions of some of KCDC’s most popular exhibits. Admission is free for dues-paid Alumni Association members and their children. The cost for non-members is $5 for all adults and their children ages 1 and up. All children under 12 months are free. 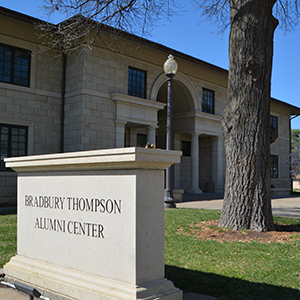 Join the Washburn Alumni Association now and then save on your registration! 0 1 2 3 4 Individual non-members of Alumni Association Attendees: 1 $ 5.00 ea. 0 1 2 3 4 5 6 7 Child(ren) of non-members of Alumni Association Attendees: 1 $ 5.00 ea.